The lung disorder chronic obstructive pulmonary disease (COPD) kills about 125,000 Americans every year — more than accidents, diabetes, Alzheimer’s disease or the flu. But treatment can be a challenge because half of the 24 million Americans with COPD don’t know they have the disease, often assuming that their symptoms are due to smoking, poor physical fitness and/or aging. Good news: With proper testing, COPD can be diagnosed early — when treatment is most effective. 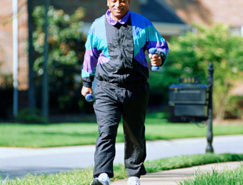 And even though COPD cannot be cured, you still can lead an active, healthier life and slow the progress of the disease. 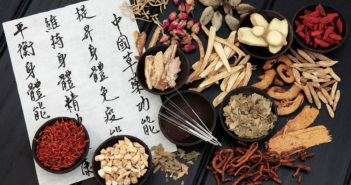 To visualize the airways, think of an upside-down tree — the trunk is the windpipe… the large branches are tubes called bronchi… and the twigs, bronchioles. At the tip of the bronchioles are about 300 million tiny air sacs called alveoli, where microscopic blood vessels (capillaries) help remove carbon dioxide from the bloodstream and replace it with oxygen. In COPD, the airways and air sacs lose their elasticity, like old hoses and balloons… inflamed airway walls thicken, while their cells pump out airway-clogging mucus (sputum)… and the walls of air sacs collapse. Chronic bronchitis (marked by a chronic cough that may produce sputum) involves the bronchi… emphysema (characterized by severe breathlessness) involves the bronchioles and alveoli. 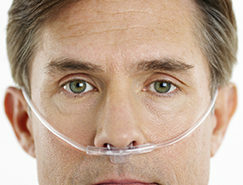 Most people with COPD have chronic bronchitis and emphysema. 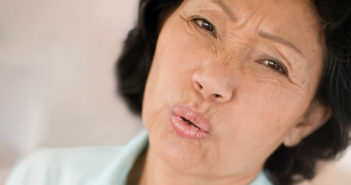 The earliest symptom of COPD might be a chronic cough with or without sputum. Later, you may find yourself unexpectedly short of breath while carrying groceries or climbing stairs. As the disease advances, you may wheeze, have difficulty taking a deep breath or sometimes feel like you can’t breathe at all. Because the lungs have so much capacity and strength, the early stages of COPD are often symptom-free — but a medical test known as spirometry can detect the disease. 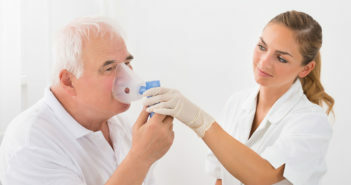 Spirometry uses a breathing device to measure lung capacity (the amount of air lungs can hold) and strength (exhalation speed after taking a deep breath). During the test, the patient blows into a large tube connected to a spirometer (a recording device). The test, which takes about five minutes, can be done in a doctor’s office — usually by a pulmonologist (lung specialist) — or at a hospital. Problem: Many primary care physicians don’t use spirometry. 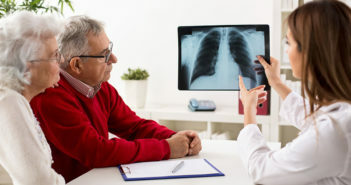 Solution: If you are a current or former smoker… have early symptoms of COPD (as previously described)… have asthma… or were exposed for years to secondhand smoke or occupational dust and fumes (other common causes of COPD), ask your doctor for spirometry and a chest X-ray, which can detect signs of lung cancer and emphysema. Both tests should be done annually — more often if you have COPD symptoms. Lower-body training. Walking or riding a stationary bicycle. Benefit: Strengthens leg muscles to help you move about more easily and for longer periods of time. Upper-body training. Strength-training exercises (using hand weights or exercise machines) for the arm and shoulder muscles. Benefit: Stronger muscles support the rib cage and improve breathing. Ask your doctor how often and how long you should perform such exercises. Strengthening the muscles used for breathing is also important. Step 1: Relax your neck and shoulder muscles. Inhale slowly through your nose and count to two in your head. Step 2: Pucker your lips as if you are whistling. Exhale slowly and gently through your lips while you count to four or more in your head. Use this breathing technique often throughout the day — not only during exercise (including walking) but also while engaged in daily activities, such as climbing stairs. Quitting smoking is the most important step to prevent COPD as well as to slow and reduce its severity. Smoking causes about nine out of 10 cases of COPD — with the remaining cases probably due to long-term exposure to secondhand smoke, fumes and/or dust. 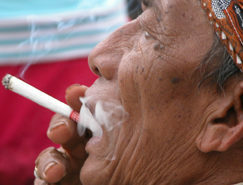 If you are a smoker, talk to your doctor about a smoking-cessation plan. Don’t give up — you may have to try two to three times before quitting for good. 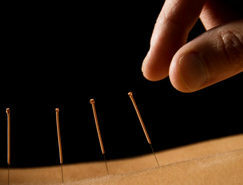 Diet also may play a role in COPD prevention. Recent finding: When researchers analyzed diet and health data from more than 70,000 women, those who ate a diet rich in fruit, vegetables, fish and whole grains had a 25% lower risk of developing COPD, while those eating refined grains, cured and red meats, desserts and french fries had a 31% higher risk. Similar results were found in men. 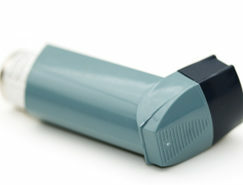 The newest, most effective drug treatment for COPD combines two medication stalwarts in one inhaler — a bronchodilator that opens the airways and a corticosteroid that decreases inflammation. Two of these combination-drug inhalers are now available — Advair combines the bronchodilator salmeterol and the corticosteroid fluticasone… Symbicort combines the bronchodilator formoterol and the corticosteroid budesonide. Studies have shown that people with COPD who use either of these inhalers have improved lung function, better overall health and less breathlessness, compared with those who use either a cortico-steroid or a bronchodilator alone. 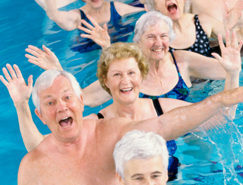 *These exercises should be performed as part of a pulmonary rehabilitation program. To find a program near you, contact the American Association of Cardiovascular and Pulmonary Rehabilitation (www.aacvpr.org).